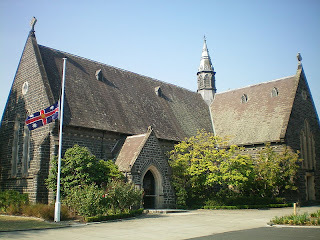 Samuel Merrett designed the church, which was built 1865-69. 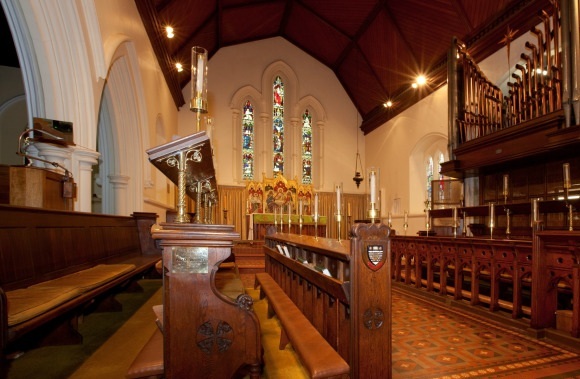 In 1883, architect Robert Dalton began a two year project that added the transepts and a temporary wooden sanctuary. 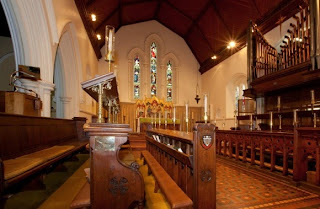 The chancel and the permanent sanctuary weren't completed until 1888 by Urban Billing. 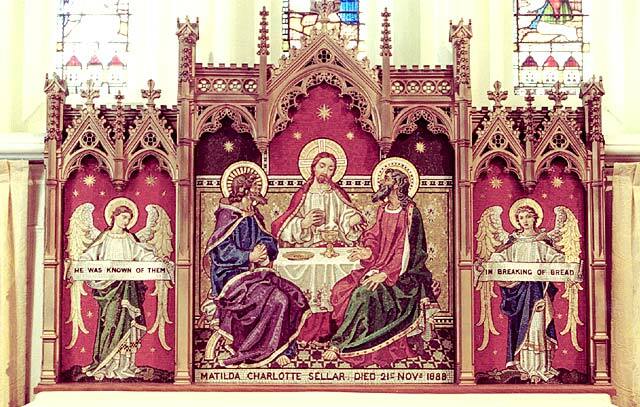 The mosaic reredos of Christ and the Pilgrims at Emmaus was designed by Clayton and Bell and made by Salviati. The inscription states that it was in memory of "Matilda Charlotte Sellar Died 21st Nov 1888". 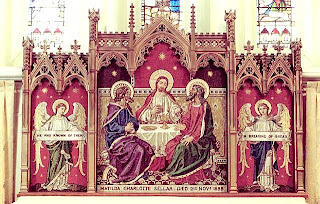 The central panel is flanked by an angel on either side, one holding a banner that reads "He was known of them" and the other "In breaking of bread." National Trust. Victorian Heritage Database.